CK Wang, Solon Chen, Stephanie Cheng and Jonathan Chang were childhood friends who spent their days playing and talking about games. After finishing their respective degrees, they all decided that they should harness their love for games and put it to good use. Thus, Kooapps was born. Their timing couldn’t have been more perfect. They started their company back in 2008, around the time Android phones were released and Apple deployed its Software Development Kit (SDK) to developers. Today, the company is widely recognized globally for some of its online educational games, particularly Pictoword, a word game that is the bestselling in its category in the App Store and honored by academic associations. Kooapps’ first product is an educational flashcard app called Vocab Lab, which is also the first of its kind in the App Store. “As a new and budding industry, with only a few people submitting apps and games, gaining traction for Vocab Lab was effortless,” said Solon Chen, one of Kooapps’ co-founders. A year later, with more project ideas in mind, the team started hiring developers and artists. Shortly after, another app called Suzie’s Sushi House was released and it immediately rose to Top 15 in the App Store under Free Games category. “Most indie developers don’t realize this but starting a gaming company is hard because we need multiple disciplines such as art, development, design, sound, etc. to come together. During the very early days, we were so newb (newbie) at all of those disciplines!” Solon recalls. The team had to pull their resources together. They had to research and learn using CK’s online lectures from Stanford University. Their pioneer Development Leads also worked hard to document, relay and refresh information and build the team’s training program and internal wiki or data portal. Despite these initial challenges, their efforts paid off. Just a few years later, they’ve created over 30 games and apps. These apps range from simple games for kids to complex tower defense games and even a meme generator app. “Our best seller is a word game called Pictoword, which is currently Top 1 in the Word/Trivia category in the US and Philippine App Store,” Solon excitedly said. Pictoword is quite simple to play. There are a series of images that you have to put together to come up with a longer word. For example, the first photo is of an ear and the second one is of a ring. Put them together and you get earring. The simplicity and user experience of the app made it click with the market. Aside from its popularity in the App Store, Pictoword has also been honored with a 2016 Academics’ Choice Smart Media Award, a prestigious seal of educational quality, reserved only for the best mind-building media and toys. Flinders University of Australia also listed Pictoword as one of the Therapeutic Apps for iPhone and iPad. Aside from getting featured by Buzzfeed, Pictoword was also lauded by numerous medical and academic institutions. Pictoword was conceived based on their observation that there was a surge of word games in the App Store from late 2012 to early 2013. One of their co-founders, Stephanie Cheng, came up with the idea and persevered, together with the rest of the team, to make it happen. “It was a challenge since we have to prototype and release Pictoword in just two weeks. It’s a matter of practicing efficiency without sacrificing the output’s quality. We shipped Pictoword in time, and the rest is history,” Solon recalled. Recently, they’re also being recommended by various family and travel blogs. 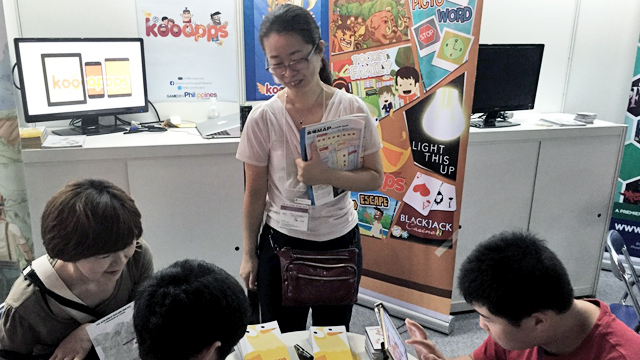 Kooapps also has another award-winning game called Light This Up, which won Most Innovative and Best Edutainment game at the 2014 Philippine Game Festival Awards. The employees of Kooapps, called Kookids, are more than happy when they get recognized internationally for their creations. 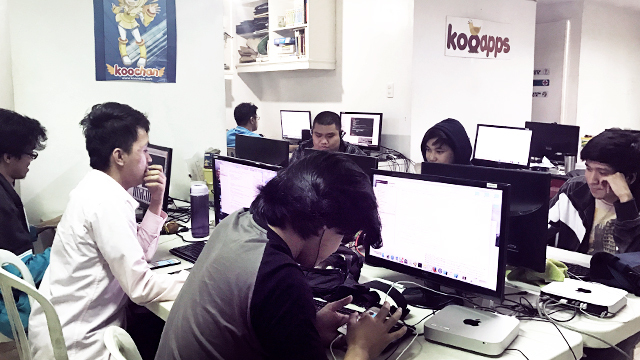 “It’s extremely inspiring to see that a small Filipino team like us can compete with the likes of Zynga and Electronic Arts on the largest platform in the world. But for me, it warms my heart every time we’re recognized locally,” Solon said. For him, there’s no better feeling than seeing the surprised look on people’s faces when they tell them that it was a Filipino team who developed the game they’re currently addicted to. 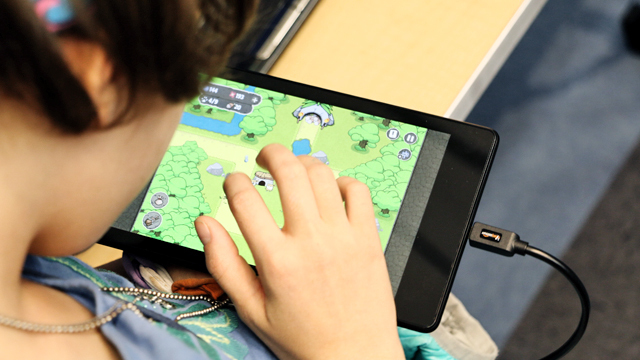 Their friends or acquaintances who play their game usually don’t know that their games were made locally. “I think this is the reason why our company’s tagline is ‘Make games we wanna show our friends.’ Things like this motivate us to work harder so we can put the Philippines on the forefront of the mobile gaming industry,” he added. To keep their momentum, the team had to figure out their benchmarks for success. The straightforward ones are downloads and revenue. There are other indicators that they track internally, like user retention, crash rates and Average Revenue per Daily Active User. Tracking these gives them a better picture on how to continuously improve their products. “But in my opinion, there’s no better indicator for success than user review and feedback. If your users are happy, then you know you are doing things right,” Solon said. To keep up with the demand, they’re also hiring as fast as they can as they hope to grow from a team of 30 to 90 in 18 months. Kooapps’ plan in the future is to simply stay true to their mission of providing their users with products of top quality. They have also committed to continue to get involved in relevant social causes through their games and apps. “We want to be the Nintendo of the Philippines – a brand that people will remember for generations around the world. Honestly it's really hard but as cheesy as it may sound, everything worth fighting for is really hard,” Solon said. Their advice to their fellow technopreneurs and mobile app developers is to be scrappy, never give up and love what you do. If you have a game or an app that’s up and running, they advise that it’s very important to listen to your customers. If you engage them and treat them well, they will help you drive your product to success.